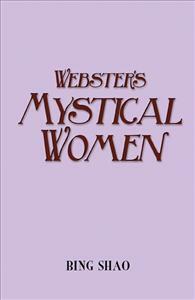 Webster’s Mystical Women discusses four dramatic monologues featuring female speakers by Augusta Webster. These speakers range from the heroic and mystical Jeanne D’Arc to the religious and pious Sister Annunciata, from the mythological Medea to the mythical Circe. This book demonstrates how Webster’s poetic rendering of these unusual female characters and female voices not only contributes to the poetic genre of the dramatic monologue in literary studies and poetics but also represents the women’s condition of both Victorian England and the widening of the female consciousness in general. Thus, through these women’s voices, Webster brings together the poetical and the political, the aesthetics and the social, the historical and the mythological in those poetic articulations.